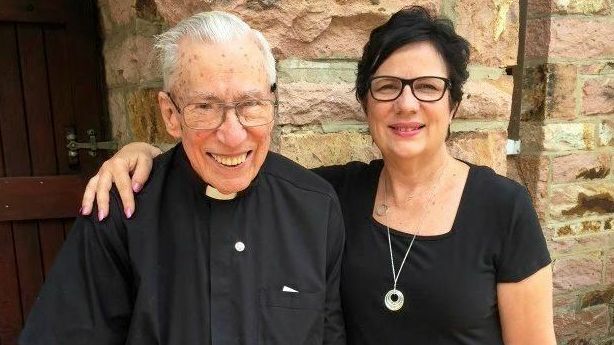 DESERVING BETTER: Fr Arthur Fellows, 96, with daughter Margaret Jolly ... speaking up for almost 127,000 older Australians who wait months or years for a Home Care Package. "NO DAY of Dad's has commenced or ended without prayer," Margaret Jolly said. But she fears his days are getting longer and harder on him while he waits endlessly for help from My Aged Care. Fr Arthur Fellows is one of almost 127,000 older Australians who have been waiting months, if not years for a Home Care Package. And at times she is ready to scream with the frustration of it. At 96, Fr Fellows is currently on a Level 2 package, which provides five hours of help a week, but he is shaky on his feet and becoming increasingly frail. After being assessed by ACAT (Aged Care Assessment Team), he was approved in February 2018 for a Level 3 package. When Margaret rang in July to find out when the services would start, she was told by My Aged Care there was a 12-month wait. When she called again in December, she was told it was a 12-month-plus wait. She has been told unofficially that the wait for many people is 2-3 years. She pointed out to My Aged Care that her father was 96 and could conceivably not live long enough to receive the service. She has heard of one woman whose mother was finally approved for a Level 4 package - for those needing the greatest help for issues including dementia - 18 months after she died. If her father's condition had deteriorated, My Aged Care told her, he could be re-assessed ... it would take six weeks to be seen, at which point he would spend an hour answering the same questions as he had several months ago. 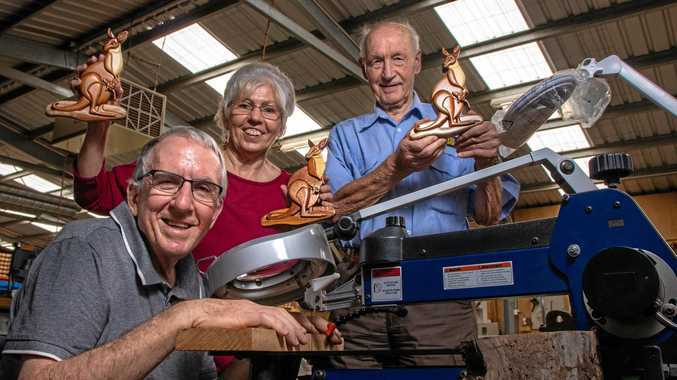 "The irony is, I've given up work to help Dad," Margaret said. "If he had the help he needed, I would be paying the government far more in tax than it would cost for his package." She says the government has "got the maths all wrong". They want people to stay in their homes because it costs less than nursing home care. People want to stay in their homes because it is their home and because they fear nursing home conditions and the boredom, atrophy and depression associated. Yet the money which should be going to help older Australians to stay safely at home is instead being spent on bureaucracy. "The fundamental problem with this system is it's not the ultimate consumer and their needs which it is concerned about - it doesn't care about the individual," Margaret said. She cites a fall her father had before Christmas which left him with a fracture and a cast on his arm. He had already sustained an ulcer on his ankle and a nurse had been approved to come in and change the dressing daily, straight after his shower. However, when Margaret asked if the nurse could come 10 minutes earlier and help put a plastic bag over her father's arm, she was told this was not a nursing duty, but a domestic assistant duty. To gain this service, she would need a referral and there would be a six-week wait - by which time her father's arm would be healed, not to mention the unnecessary doubling of costs sending two people to the same house within 10 minutes of each other, and her father being confronted by another stranger. "Having been through this experience myself, I hate to think what it's like for those who don't have a child or someone to advocate for them," Margaret said. As an intelligent, professional woman who ran her own consultancy firm specialising in workplace investigations, human resources and management advice and mentoring, she said dealing with the bureaucracy around My Aged Care and ACAT had "just about defeated me". But she won't let it because she said her father is "the most thankful, loving person ... the best human being you could possibly meet" and he and others of his generation deserve better than the Australian government is giving them.